If you are a blogger you will probably spend way too much time reading other blogs (I know I do), one way to interact with other bloggers is to leave comments on their blog posts. 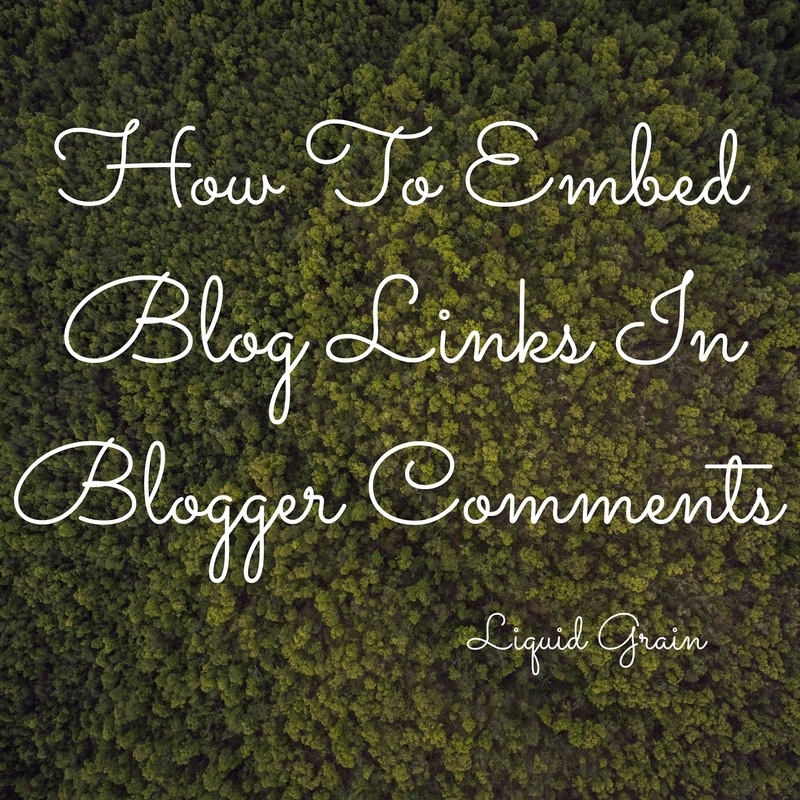 On most commenting systems your blog link gets automatically posted as a link, but not on Blogger blogs! So this is why you need to learn a little bit of code to copy and paste into your comment. Just replace my blog address with yours, don't forget to include the http. Also replace Liquid Grain with the text you want to display! Top tip- copy and paste this code into a blog post and save it as a draft and it will always be on hand when you need it! I hope this has been helpful for you. Now give it a go and leave your blog link down below! You're welcome, yay it works!